Dr Susanna Park is working on ways to prevent one of the lesser known side effects of chemotherapy: nerve damage. One hundred years ago cancer was invariably fatal. Over the past century, however, we’ve made such huge advances in cancer treatment that today, more than two in three patients diagnosed with cancer will survive their cancer for five years or more. As a researcher, I regularly see patients complete treatment and go on to live their lives cancer free. One thing I see often, however, as a direct result of more people surviving cancer and cancer treatment, is the long-term side effects of chemotherapy. While nausea and fatigue are well-known to patients, these other side effects seem to take people by surprise. One in particular, nerve damage, is the focus of my research. Nerve damage first appears in the hands and feet as tingling, numbness and loss of sensation. This damage, known as chemotherapy-induced peripheral neuropathy, is caused by chemotherapy drugs used to treat a number of different cancer types, including colorectal, breast, ovarian and blood cancers. We don’t yet understand the mechanisms underlying this damage and there is currently no known treatment or cure. The damage can be irreversible and limits the amount of treatment that patients can receive. Unfortunately, nerve damage sometimes develops late in treatment or even after the chemotherapy has stopped, making it harder to identify and treat. Neuropathy can become such a significant problem that patients have trouble with everyday activities such as walking and handling objects. For example, one patient told me that during treatment she couldn’t hold a pen to write. She said her legs felt like they didn’t belong to her and she still has difficulty walking months after her chemotherapy treatment ended. Another patient told me that he cut his finger on a razor but only noticed when he saw the blood on his finger. One patient’s feet ached all the time and she couldn’t stand the pressure of shoes and socks. I’ve also seen patients who have difficulties with typing, buttoning clothes, and many often report stumbling and tripping. The unfortunate reality is that these effects can continue for years after the completion of chemotherapy treatment. As there is currently no way of reversing nerve damage, our research team at NeuRA and the Prince of Wales Hospital focus on prevention; we have recently developed a nerve assessment technique to detect and measure early signs of nerve damage, enabling clinicians to identify patients at risk of severe nerve damage early in their treatment. Up until now, clinicians have had to rely on patients reporting symptoms, by which point a great deal of nerve damage may have already occurred. While this technique is promising, we still need to determine exactly how nerve damage affects the everyday lives of patients. We are only just now starting to look at improving quality of life after cancer; and as a result, the impact of nerve damage on patient function and daily life has been largely underestimated. I’m currently looking at these day-to-day problems and how we can quantify the difficulties that patients experience. 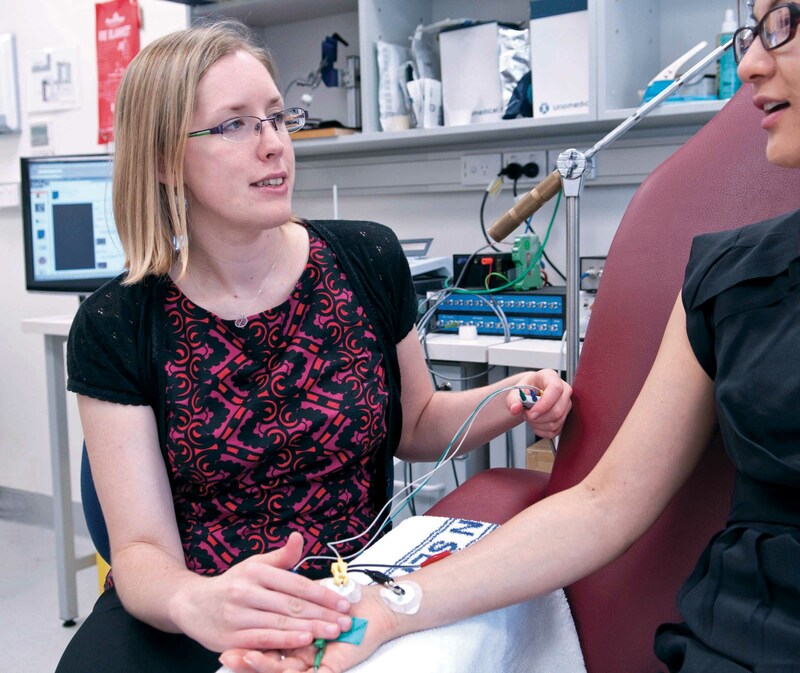 By developing these assessment tools, we will be able to better identify and measure nerve damage, which will hopefully lead to improved outcomes for cancer survivors following chemotherapy treatment in the future. Pleased to have found someone looking into CIPN. For 20 years my wife and I have been strong country walkers covering some 10,000 miles. Having developed CLL Luekiemia myself my life has changed almost completely.